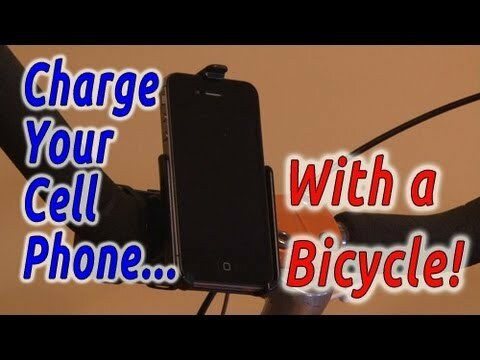 Charge Your Cell Phone with a BICYCLE! FREE pedal powered Bicycle charger that costs around $10! Thanks to Alastair Bland for the idea. The cable from the generator leads first to the circuit board's bridge rectifier, which converts the AC to DC. The up-and-down, positive-to-negative current becomes a steady positive current. Then, the cap levels out the DC voltage, producing a steady voltage inflow to the voltage regulator, as the phone only﻿ needs 5 volts to charge. Fast pedaling can produce 30V or more, which is enough to fry a cell phone. The regulator puts a five-volt ceiling on the power entering the phone. ← How To Revive a DEAD REMOTE!